Pictures and descriptions of old alignments of US 40 in Illinois can be found on the Jim Grey Page. 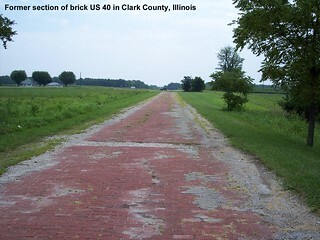 More pictures and descriptions of old alignments of US 40 in Illinois can be found at this link on the Jim Grey Page. Additional information about the history of US 40 in Illinois can be found on the Illinois Highways website.